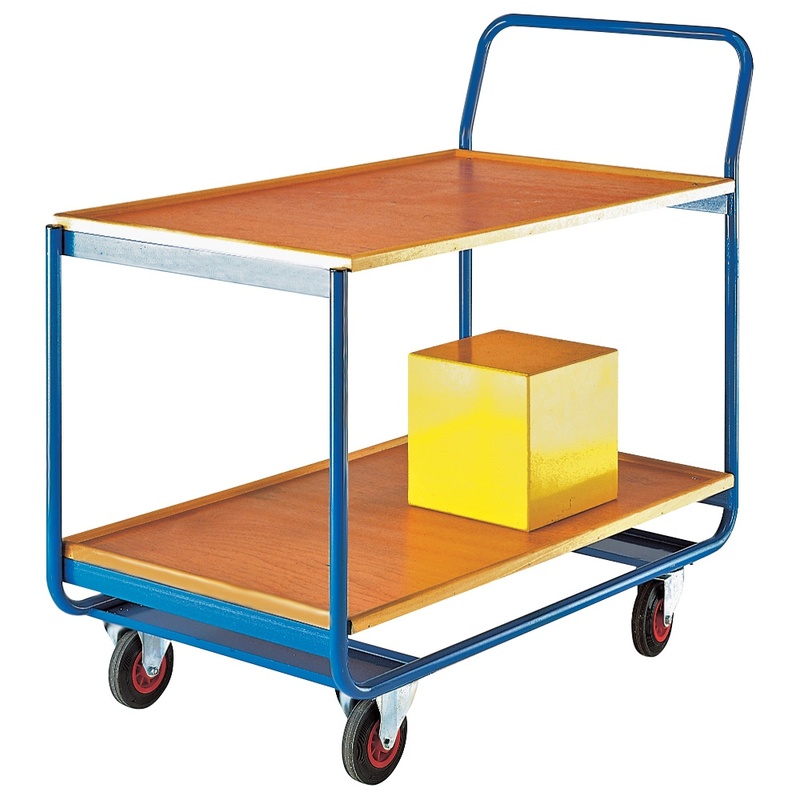 Quality UK manufactured trolley, great for order picking or transporting small parts around a warehouse, factory, retail outlets etc. Frame manufactured from tubular steel with a flat steel chassis finished in a Blue epoxy coating. Fixed Plywood shelves, polyurethane coated with a hardwood edge. Shelves have a 25mm up stand. Push bar handle at one end for easy movement. 2 & 3 Shelf versions are available.